The National Academy of Sciences is the U.S. adhering body to the International Union of Psychological Science (IUPsyS) and it maintains its relationship with the union through the U.S. National Committee (USNC)/IUPsyS. IUPsyS works to promote the development, representation, and advancement of psychology as a basic and applied science nationally, regionally, and internationally. The 29th ICAP was held in Montreal, Canada, from June 26 through June 30, 2018. The theme of this congress was "Psychology: Connecting Science to Solutions." Click here to learn more about the most recent ICAP. Charles Super, a member of the USNC/IUPsyS, presented a talk at the “U.S. Psychological Science in a Globalizing World” invitational workshop organized by the USNC/IUPsyS and held at Pace University in July 2017. Dr. Super is Professor of Human Development and Family Studies at the University of Connecticut. His talk, “U.S. Psychology in a Globalizing World,” can be viewed here. Sponsored by APA and the U.S. National Committee for Psychology (USNC), this program will support graduate student/early career psychologists and midcareer/senior psychologists. Participants will present and discuss their research to an international audience, and engage in a mentoring program to promote the development of international collaborations and networking. This program is funded by the National Science Foundation (NSF). Funding is exclusively available to support scholars working in science areas supported by programs in the NSF Division of Behavioral and Cognitive Sciences, including cognitive neuroscience, learning sciences, developmental sciences, perception action and cognition, social psychology, psycholinguistics, and judgment and decision-making. The USNC/IUPsyS congratulates all travel award recipients. For more information, email APA's Office of International Affairs with “APA-USNC” in the subject line. "Building Infrastructure for International Collaborative Research in the Social and Behavioral Sciences" (2014) and "International Collaborations in Behavioral and Social Sciences Research" (2008) are being downloaded frequently from the National Academies Press site. As of September 2015, the 2014 report has been downloaded 562 times, while the 2008 report has been download 948 times. Additionally, "International Collaborations" (2008) has been cited in an array of journals since its release, including The Journal of Engineering Education, American Psychologist, and Early Human Development. View a complete list of citations here. “Building Infrastructure for International Collaborative Research in the Social and Behavioral Sciences,” a USNC/IPsyS workshop held at the National Academy of Sciences in Washington, D.C. in September 2013, was highlighted in two recent newsletters. The January 2014 edition of the Society for Research in Child Development newsletter provides an overview of the workshop’s four panels, while the April 2015 edition of the International Union of Psychological Science newsletter links to both the full workshop report and report in brief. 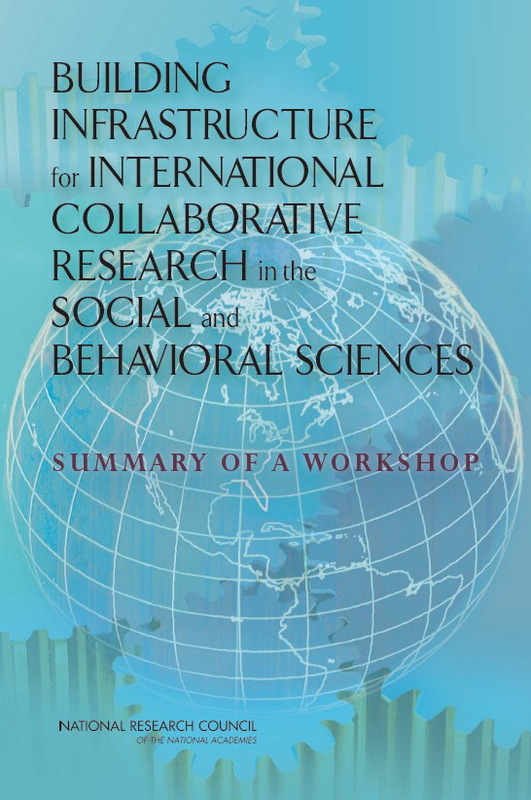 In September 2013, the USNC/IUPsyS convened a workshop to address ways of overcoming challenges to effective international collaborative research in the social and behavioral sciences and education. This workshop was a follow-up to a 2006 workshop on the benefits of and obstacles to international collaborations. Participants at the 2013 workshop discussed ways that universities and other organizations can address common challenges. These include strengthening infrastructure to support international collaboration, fostering relationships with potential collaborators, dealing with cross-cultural dissemination and authorship, developing strategies for anticipating and resolving conflicts, the advantages and challenges of new technologies, and building cultural competence. Judith Torney-Purta and Oscar Barbarin co-chaired the workshop. The workshop was held with support from the Spencer Foundation. The report was released at a public meeting on January 28, 2015, along with a presentation of a related NRC workshop summary, Culture Matters: International Research Collaboration in a Changing World. Building Infrastructure two-page report-in-brief (PDF). The full report may be purchased or downloaded free from National Academies Press. Culture Matters is also available from NAP. This material is based upon work that was supported by the National Science Foundation under Grant Number BCS-1446732. Any opinions, findings, and conclusions or recommendations expressed in this material are those of the author(s) and do not necessarily reflect the views of the National Science Foundation.